Western Classical music started with the Ancient Greeks in 6th century BC. But a Greek in particular, Pythagoras, who invented the twelve-tone scale, started the beginnings of music theory which would be the basis for understanding and composing music in the Western world. Most people will recognize pieces of music from the Classical period from the mid 18th century to the early 19th century. The three main symphonic/instrumental composers of that time were Haydn, Mozart, Beethoven and Italian opera composer, Gioacchino Rossini. Franz Joseph Haydn by Thomas Hardy. 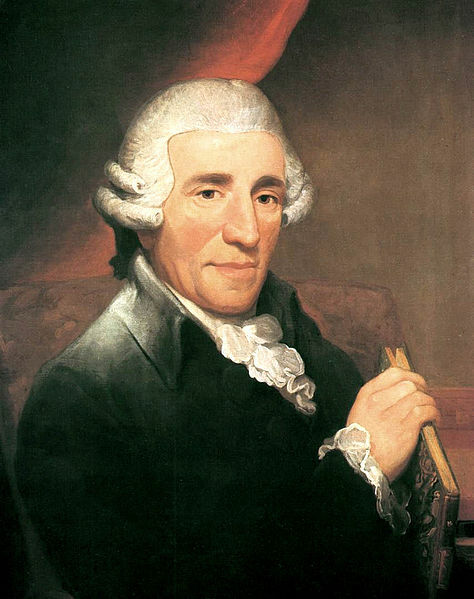 Franz Joseph Haydn was coined the “Father of the Symphony,” and the reason Symphony no. 94 is called the “Surprise” symphony is because of the out-of-nowhere loud fortissimo that happens after the gentle sweet melody in the beginning 1st movement. Haydn was a notorious jokester and would frequently incorporate “jokes” into his music! 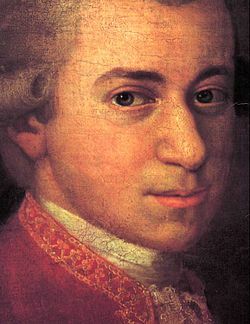 Wolfgang Amadeus Mozart by Johann N. della Croce. Mozart is probably more well-known for his operatic and symphonic works, but his string quartets are classic. As a Cello player I love his Cello writing in his string quartets, but sadly he never wrote a concerto for the instrument. He specifically wrote 6 quartets dedicated to Haydn. Listen to all the quartets of Mozart; but the “Haydn quartets” are probably the most beautiful pieces of music ever written. My favorite Mozart opera is “Don Giovanni” (pronounced Don Joe-va-nee), based on the tales of Don Juan. My favorite aria from this opera is “Madamina, Il catalogo e questo” which translates into English,“Madame I have a list here of all the women the Don has enjoyed all over the world!” Bryn Terfel is singing the character of Don Giovanni’s servant, Leporello, and he is singing to Donna Elvira, a potential lover of Don Giovanni, to warn her of his womanizing ways. Mozart was Austrian yet his music perfectly accompanied the Italian language so rhythmically-as if he were Italiano born! 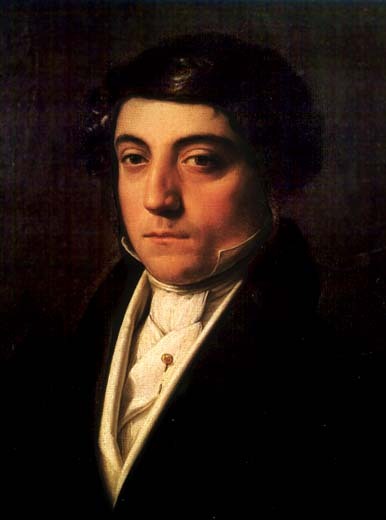 Gioachino Rossini by Vincenzo Camuccini. In Rossini’s younger years at music conservatory, his fellow students would call him“il tedeschino,” meaning “Little German” because of his love for Haydn, Mozart and Beethoven. Rossini was called, “the Italian Mozart,” because of his Mozartean memorable melodic writings. In his vocal writing he wrote in bel canto style, which in Italian means beautiful singing. Bel canto singers have to be amazing at breath control, impeccable technique, and executing high notes but in a soft tone. 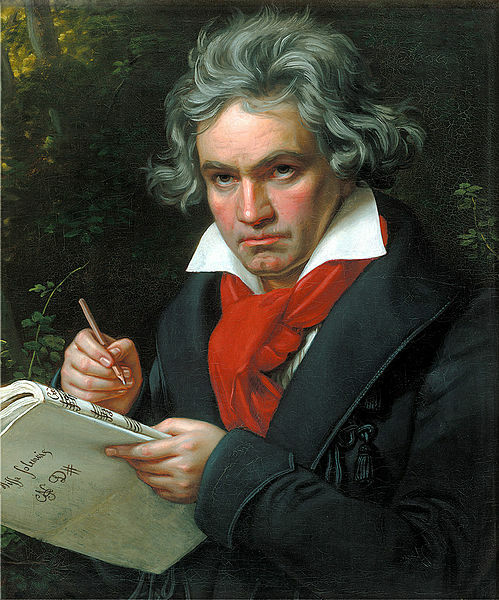 Ludwig van Beethoven by Joseph K. Stieler. Beethoven wasn’t born deaf. He started going deaf around age 29 and would saw the legs off his pianos numerous times just to be able to hear the vibrations of the music he was playing through the floor. Beethoven’s 5th symphony was written at a time when he was almost completely deaf, and one can sadly hear his frustrations going on in this work, but what beautiful epic music is created by such sad times. The first four notes in the 1st movement are what Beethoven called, “The Fate motif” which Beethoven said sounded to him like Fate knocking at the door, and that same motif would re-appear in his later works, too. Alexia Pantanizopoulous is a member of the Johnson City Symphony and Norwegian Wood. 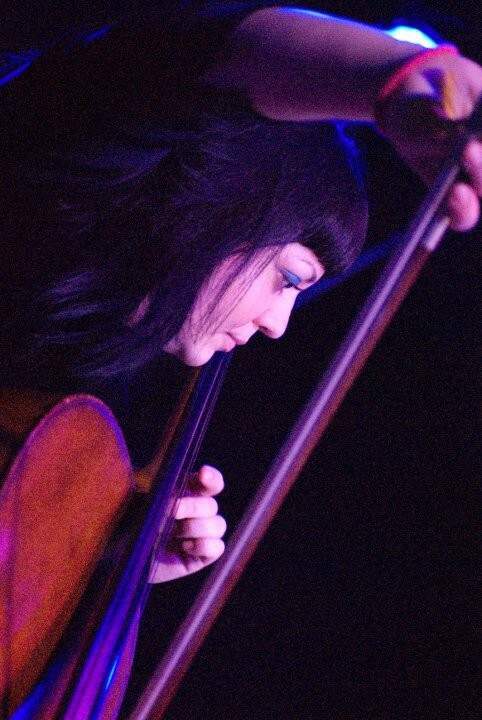 To book Norwegian Wood for special events please contact Alexia at norwegianwood.strings@gmail.